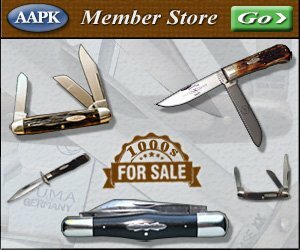 This is a list of Schrade Uncle Henry knife models. This list is based on Schrade catalogs and price list from 1973 through 2004. Thanks to LT and Larry I now have price lists or catalogs for this full range of years. This is not an all-inclusive list of Uncle Henry models, but does include some models that did not appear in the catalogs. There are undoubtedly more. The Last Year Listed column shows the year that a particular model last appeared in a Schrade catalog. The First Year Listed column shows the year that a particular model first appeared in a Schrade catalog. The Last Retail Price column shows the MSRP for the last catalog appearance. Details on some of the knives are scarce, especially some of the ones that do not appear in any catalogs. There are some strange things that came out of the factory, such as, the 97OT with Uncle Henry Staglon handles and a single clip blade. Some of these are referred to as End of Days knives that were made after the factory closed and before the bankruptcy sale. For the most part these knives are not listed. Perhaps at some future date when I have assembled a more complete list I can add these too. The 55UH was a special run exclusively for Wal-Mart in 2002 and sold exclusively by them. The 55UH does not appear in any Schrade line catalogs. Note: Robert lists the knife as 4 inches; though the only one I have is 3-3/4 inches. It has been said many times that; Schrade made knives not catalogs. The early catalogs seemed to be more accurate, listing knives in 1/16 inch. This concern for precision is not reflected in the later catalogs. A special edition knife made exclusively for & sold by K-Mart. The LB2 did not appear in any regular Schrade line catalog. Product dates are unknown, but are circa mid 1980s. Source- A Catalog History of Schrade Knives by Robert Clemente, 2003. This list is a work in progress. I hope to be adding some of the Open Stock knives, as well as some of the scrimshaw and some of the special addition knives, plus the later knives such as the AV2, CH4, SLW2, etc. This is definitely not the last word in Schrade numbering and prices. This is merely a beginning point and I hope to update this as I get new information.